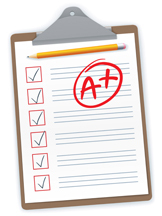 Taking a test is stressful, but designing workstations for your testing center shouldn’t be. We recently worked on several projects designing GED testing stations for Pearson VUE® testing centers. We want to share what we’ve learned about their workstation requirements with you. To answer your questions about the Pearson VUE® testing center workstation requirements, we designed a handout. 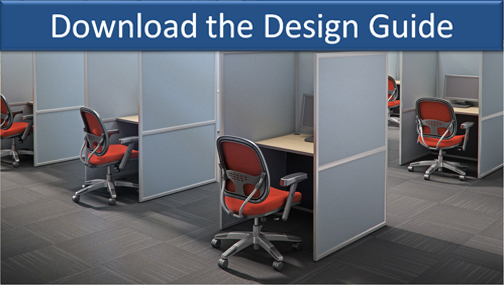 Download the guide to learn more about designing testing stations that meet Pearson VUE® facility requirements given in their guide for Office Layout and Environments. The testing stations will work for GED testing centers. For testing workstations to meet requirements, each workstation must measure approximately four feet wide. Partitions are optional, but will help to create privacy and absorb sound between workstations. If partitions are used, workstations can be placed closer together, or next to each other. Pearson VUE® guidelines note that if partitions are used, they should be 60″ tall. If partitions are not used, only one workstation should be placed per four feet of space. Specifications are subject to change. For further specifications refer to Pearson VUE® facility requirements for Office Layout and Environment. Interior Concepts will work with you to ensure your testing stations meet Pearson VUE® requirements, while creating both a professional and comfortable facility. Visit the Contact Us section and fill out the form. We will put you in touch with a project manager or local representative that will work with you to find the best solution for your testing center. You will even be able to see design changes to your stations live via interactive web conferencing – and you will receive a 3D virtual tour of the final design. Watch our video on the Interactive Quoting process to see how it works.